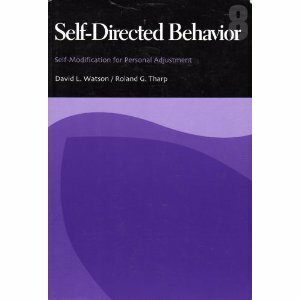 This effective self-help book presents a workable set of skills that readers can use for tackling their own self-modification programs, whether it be to improve self-confidence in dating, control overeating, implement and exercise program, or give up smoking. The authors' goal is to teach the basic skills necessary for readers to modify the behavior of their own choice, (66%-84% of the students employing these methods have achieved their self-change goals according to published studies in the literature). Once students have applied the principles to a behavior, they'll find it easier to use the skills in different settings. David L. Watson is a Fellow of the American Psychological Association and a Charter Fellow of the American Psychological Society. Watson is well known for his work in social anxiety, having developed the original scale to measure it. He has written textbooks in introductory psychology, social psychology, and learning skills. Watson is an enthusiastic world traveler, having visited over 100 countries. He speaks French and Greek, and is a certified master gardener, specializing in xerophytic plants. He divides his time now between Honolulu and Albuquerque.